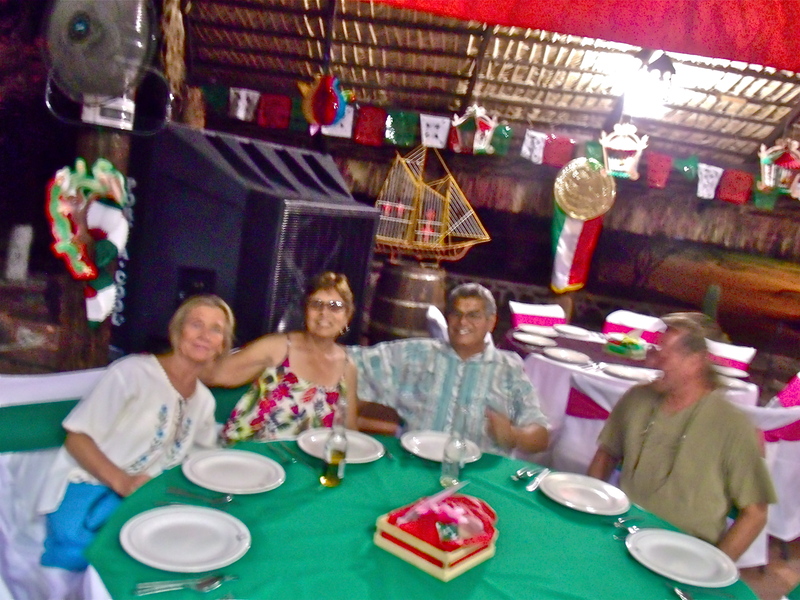 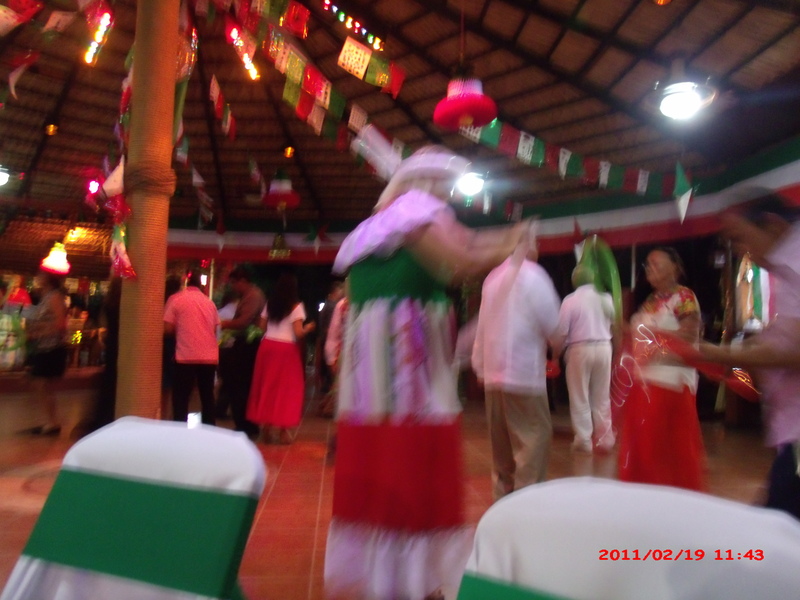 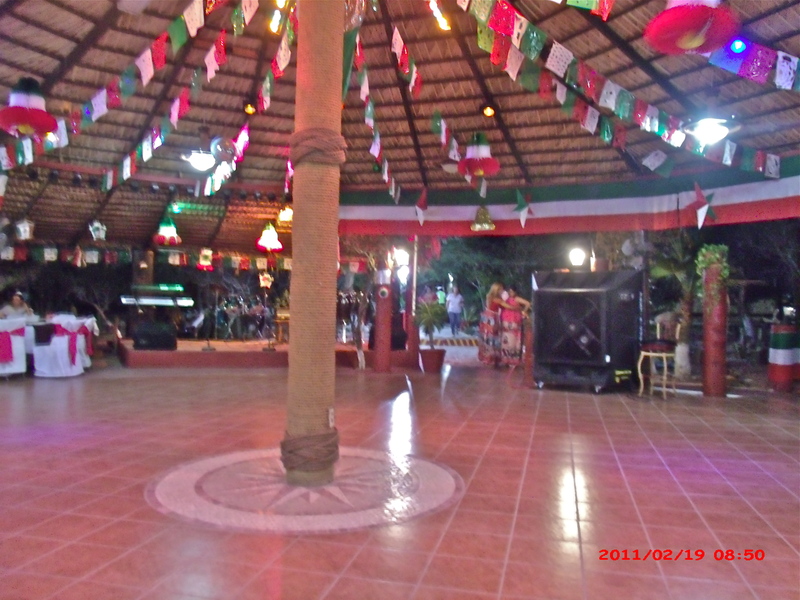 I went with neighbors to the Independence Day Fiesta at the local Naval Station here in San Felipe. 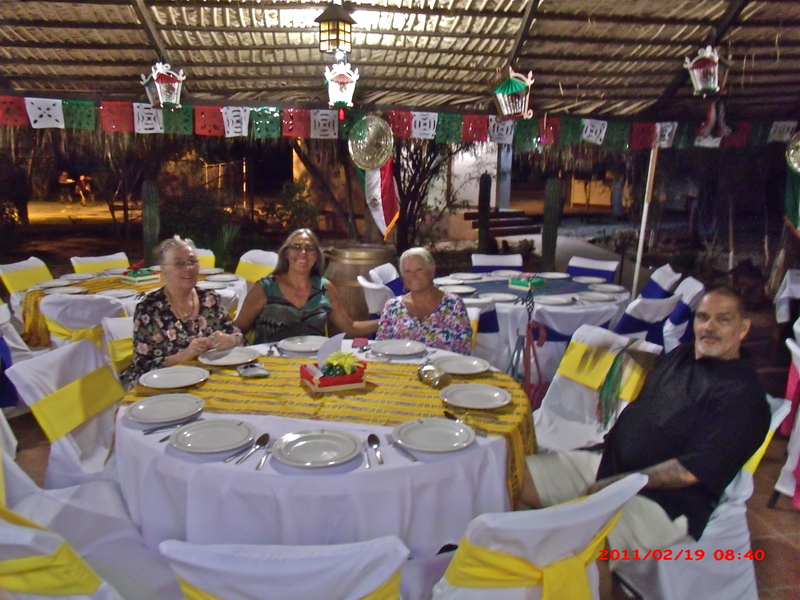 Besides having fun and meeting new people the event supports the Navy’s Clinic which takes care of the sailors and other military personal in the area as well as emergencies from the local community, so it is a worthwhile cause to support. 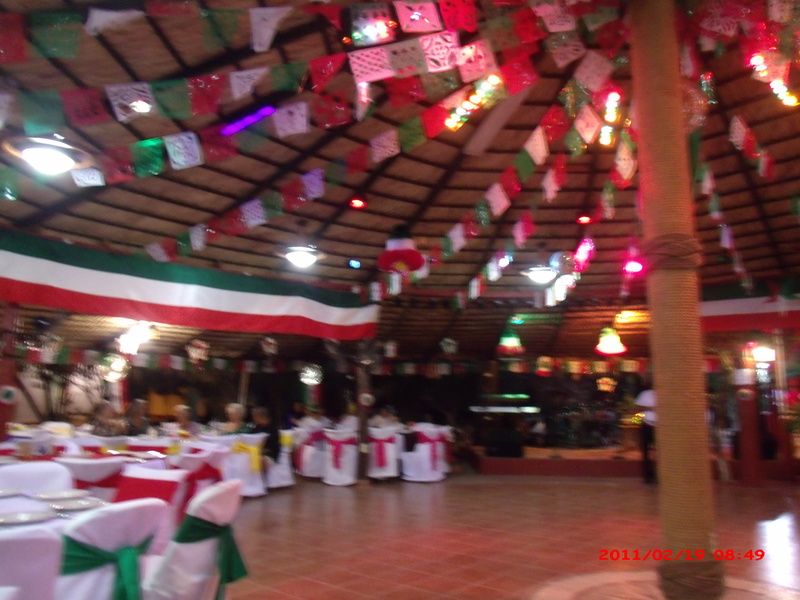 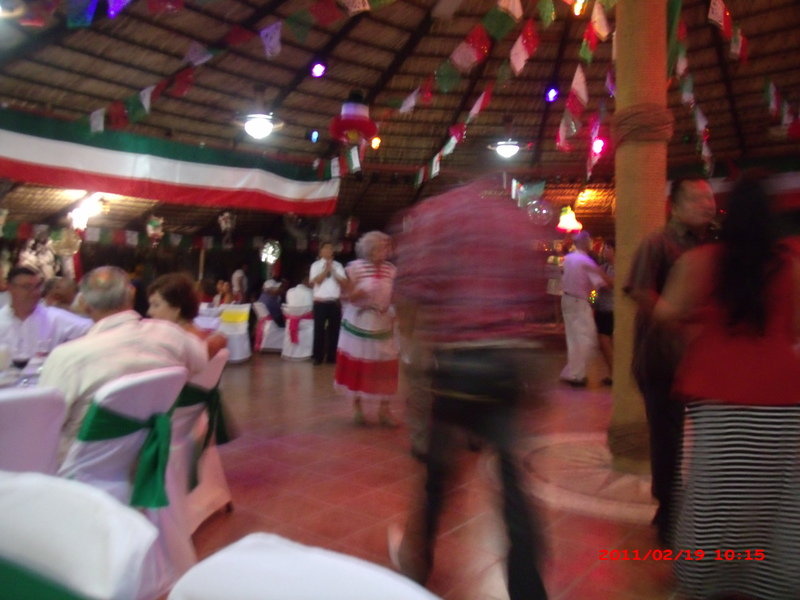 The tickets are reasonable and there is a meal usually parzole a Mexican stew, a very traditional recipe and it is always good. 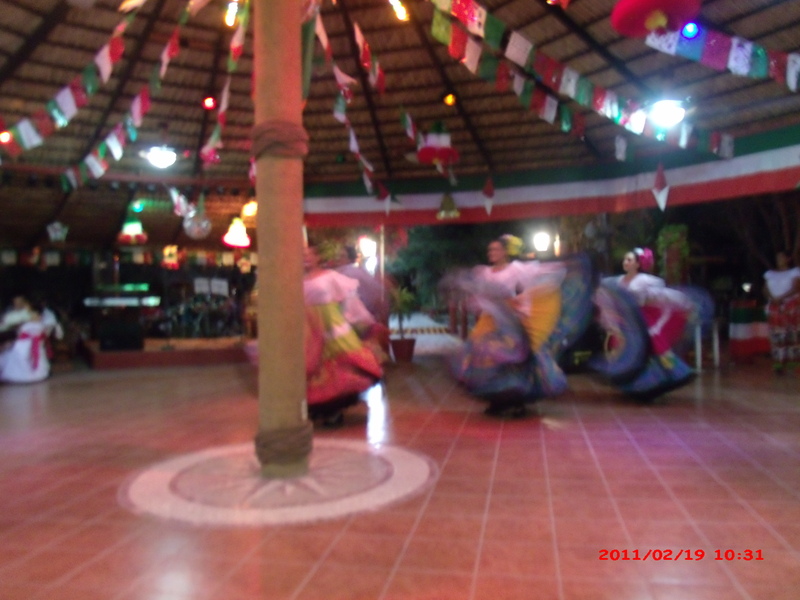 There is entertainment a band with singers and a dance troupe in colorful costumes that always gets a great reception when they perform. 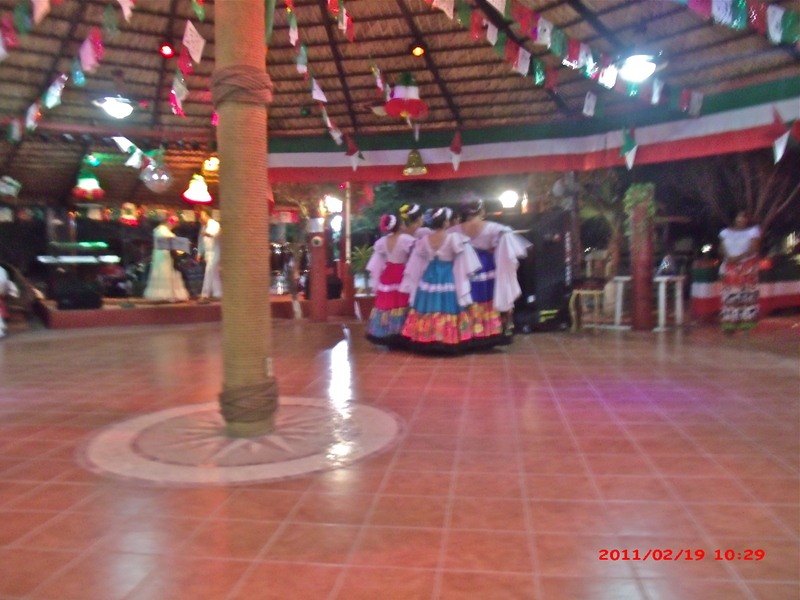 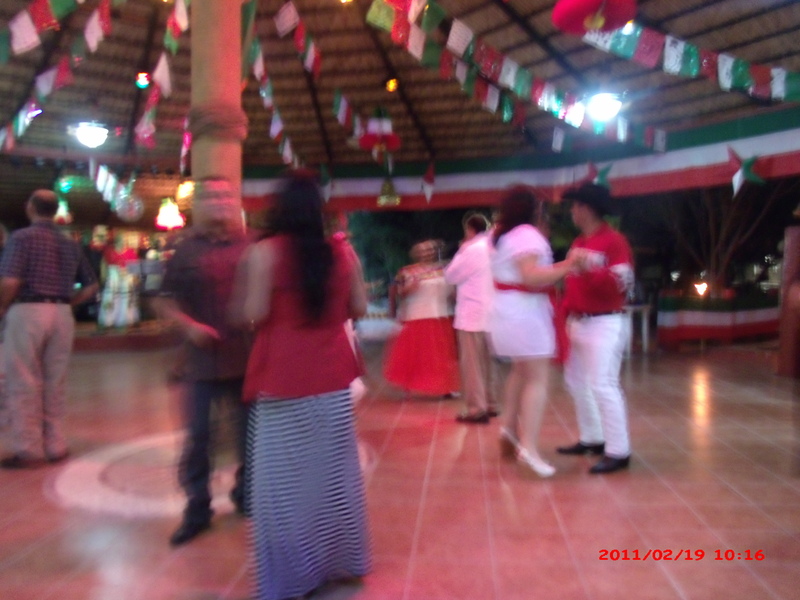 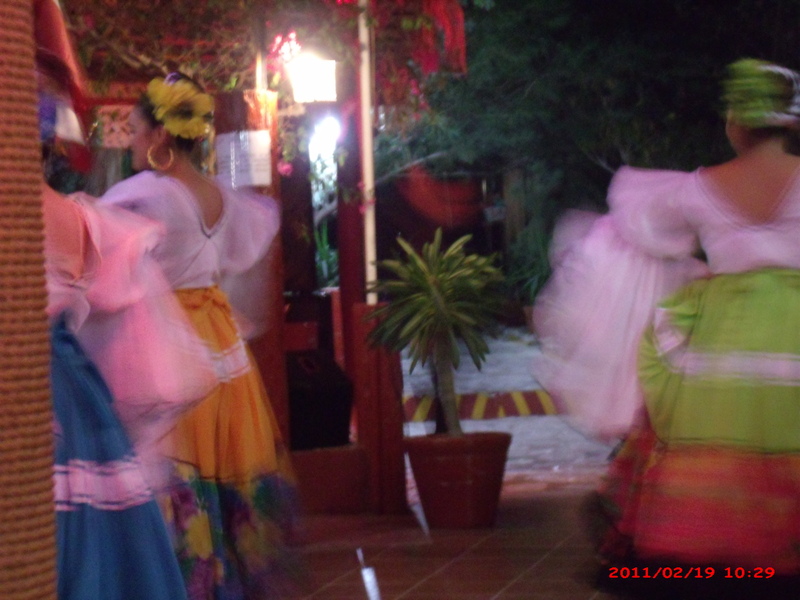 When the band starts playing some dance music the dancers get out on the floor and there a lot of very good dancers in San Felipe very classy. 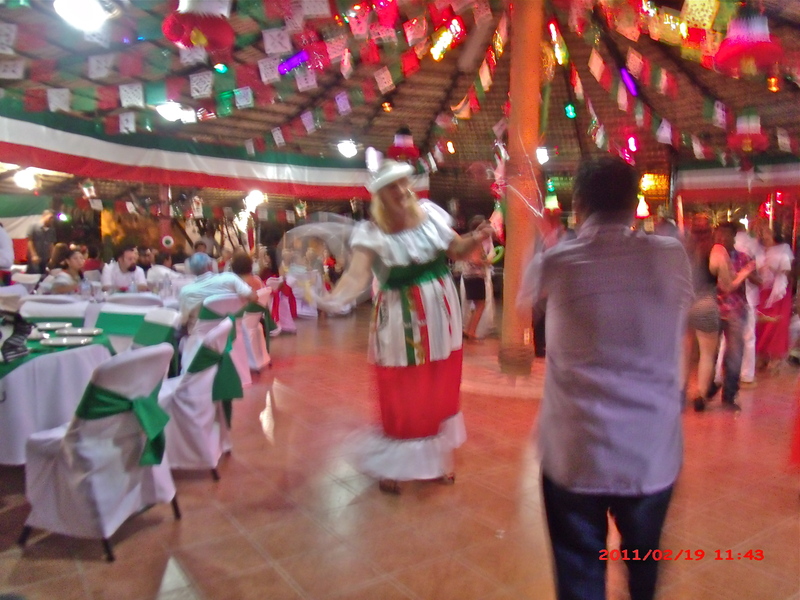 This year I got to dance a number with a sailor and had a lot of fun. 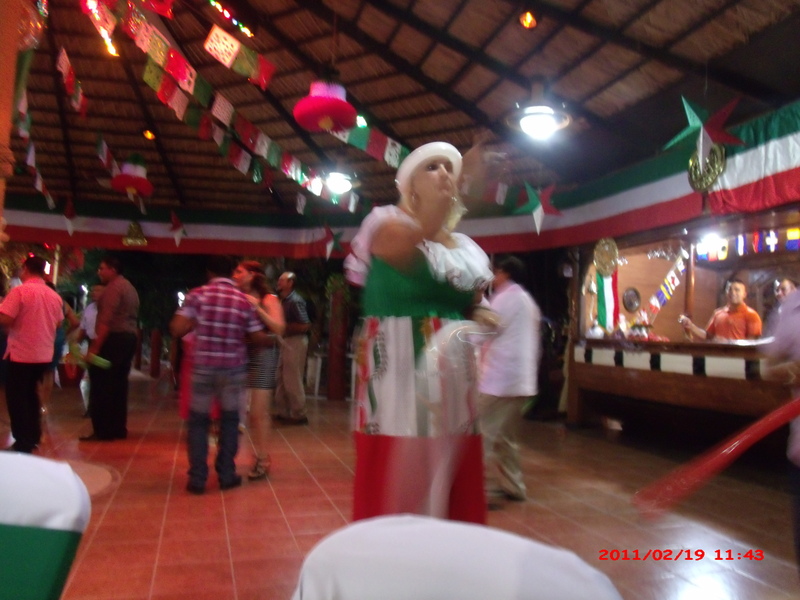 I also got to wear my Mexican holiday dress which made me happy too. 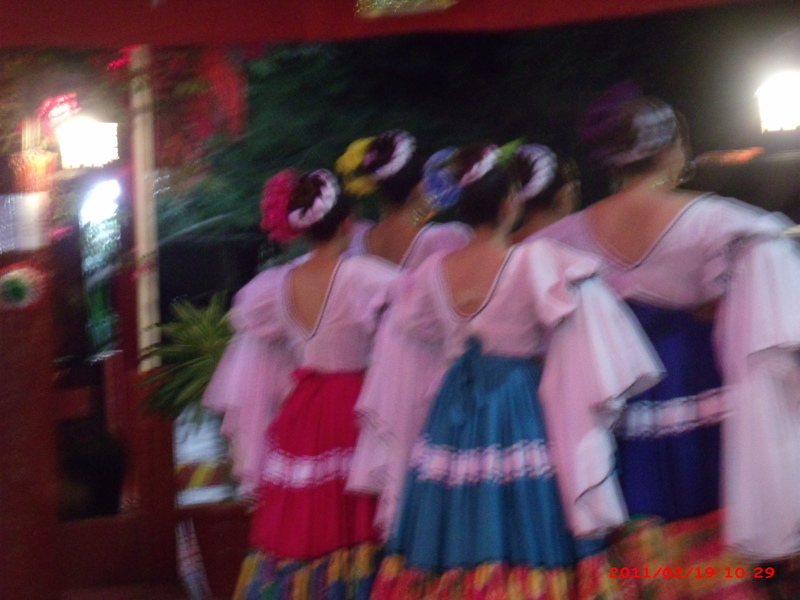 The photos aren’t the best, but one can get the gist that it was a colorful and interesting evening from them.